Can India transform its planning practices to equally represent the voices of the most marginalized groups? Photo by ILRI. The urbanization boom in India is not taking place without heated discussions and an attempt at inclusive planning. If crafted correctly, Indian cities can serve as role models in participatory planning. In fact, many India-based projects and enterprises are leading the way with more inclusive planning methods, hoping to create human-centric cities. New Delhi-based architecture firm Morphogenesis runs public projects like the Delhi Nullahs to reuse the neglected water drainage system in Delhi. These ravines transform the city’s storm water networks and can play a big part in the city’s sustainability efforts. The city’s nullah network is 350 kilometers long (a little more than 200 miles), contiguous and intertwined in the national capital. Currently, the nullahs exist as unhygienic and sewage-laden drains, and they pose a health risk to citizens of Delhi. Among some of these concerns is that the nullahs smell of sewage, breed mosquitoes because of stagnant water, and direct pollutants into the Yamuna river. However, according to the architects of Morphogenesis, “a relatively small investment can turn the nullahs into a valuable asset for the common citizen.” Other public projects by the firm address various facets of urban infrastructure, including the postal system. Delhi’s urban problems are complex because several cities have existed over the same space for centuries. Master planning approaches are therefore nearly impossible. But creative approaches like that of Morphogenesis that build on the existing infrastructure are an important step in improving the city’s sustainability. Private sector involvement in urban issues also shows that there is interest to improve the city’s infrastructure. Private investment also sends the message to citizens that their city is worth the investment–a powerful reason to get involved. 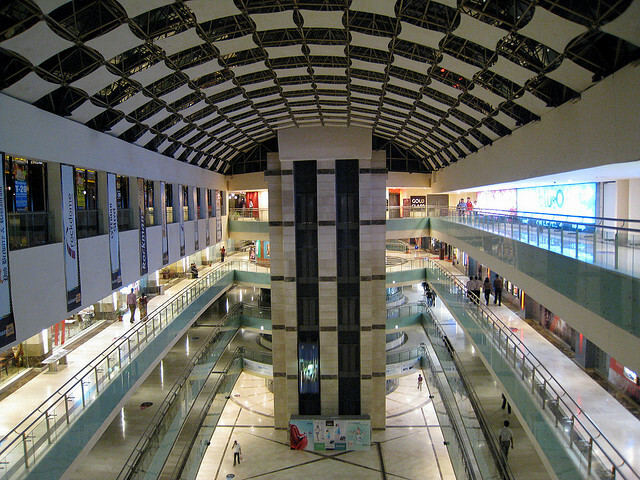 Sleek and modern, India's malls are attractive, but they are not affordable and socially exclusive to a large part of the population. Photo by steve_w. Planning Wallah, a project by researcher and artist Adriana Valdez Young, combines planning with play to promote participation in the city of Mumbai. Her research on malls and “mallification” has highlighted the politics of social exclusion in Indian cities. India added 15 million square feet of mall retail space in 2011 and these malls are changing the urban shopping landscape in a problematic way. For one, malls remove the social aspects of bargaining and the democracy of pavement selling. Malls also echo a sentiment of social exclusion, especially in terms of where they are located and the westernization of the shopping experience. This has immense implications for the country’s urban fabric. One way to tackle this challenge comes from a program called URBZ, a community initiative that promotes user-generated cities that is based in Dharavi Slum, Mumbai. URBZ organizes participatory workshops, designs adaptable structures and develops web tools for urban communities and practitioners. This site-specific and immersive research can provide crucial insights for contemporary urban development, especially in a country like India, by giving power and legitimacy to a large poor urban population. 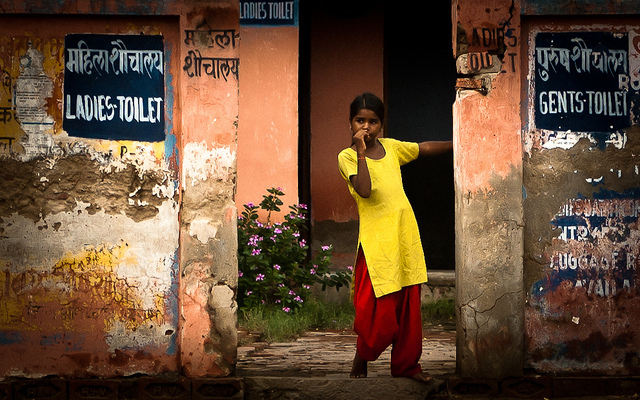 The National Urban Sanitation Policy in India engages cities in tackling challenges with sanitation, like public toilets and waste removal. Photo by Ignas Kukenys. The Ministry of Urban Development of the central government in India is drafting several interesting concepts and policy guidelines to steer urbanization in a sustainable manner. These include the National Urban Transport Policy and National Urban Sanitation Policy, which engage cities to develop plans that improve their transport and sanitation issues in line with certain goals and guidelines. The NUTP, for instance, targets pedestrians and sustainability in the context of climate change. The NUSP looks at urban sanitation issues, such as access to public toilets and waste removal. These efforts also exist at the local level. In New Delhi, for example, the local urban government is asking architects and universities to help design wards. This is in line with the Master Plan of Delhi 2021 (MPD), which requires local bodies to prepare detailed development plans for community centers, drainage, roads, parking spaces and shopping areas. This is a positive collaborative effort to promote better cities and a chance to incorporate more voices in the planning process, but it’s still important to incorporate the opinions of more marginalized groups. In India, cities are divided into wards, which are then governed by their own administrative bodies in an attempt to promote participation and self-government. Although these governing bodies bring in experts and professionals to resolve urban issues, the voices of those present often include and promote only middle class interests, instead of the collective interests of an economically diverse city. 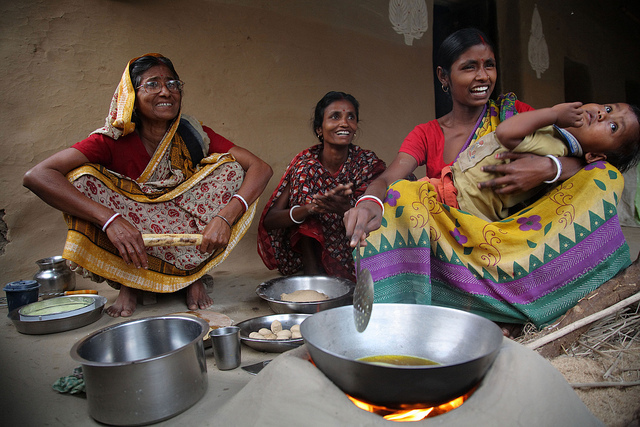 A collaborative and interdisciplinary effort is important in solving India’s complex urban issues, but this must include the voice of the lowest-income groups. Provisions need to be in place that include the opinions of marginalized populations and put them on the map, so to speak. With these types of participatory approaches, India’s urban trajectory map is looking positive; mapping projects would be the likely next step, in order to improve and adequately address the issues facing Indian cities. However, big questions still remain: Are Indian cities being planned by academics, activists and the middle class ? How will cities ensure that marginal voices are also part of the debate? This is a challenge, but if effectively addressed, could become a replicable trend for cities worldwide.